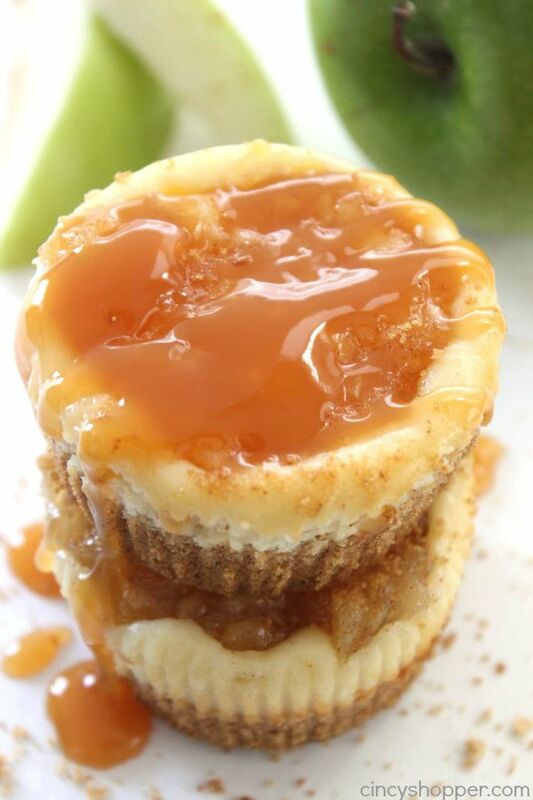 These super easy Mini Apple Cheesecakes pack all the yummy flavors of an apple cheesecake in bite sized form. 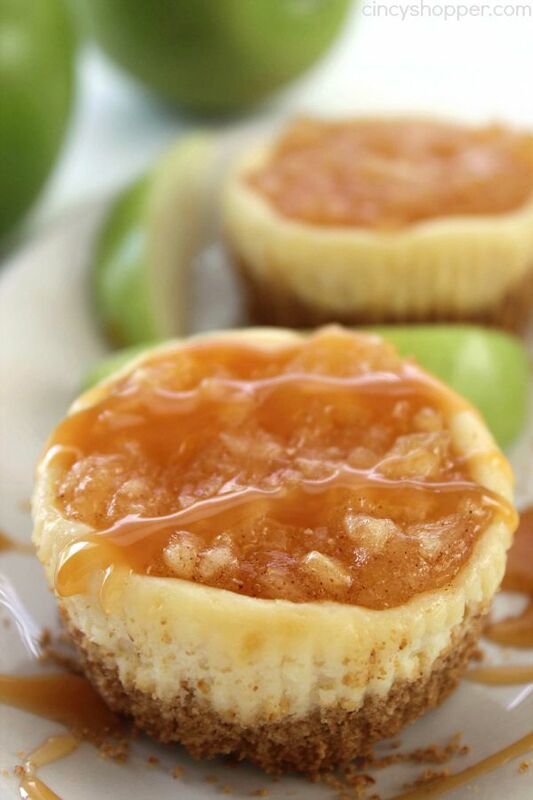 It’s almost fall and these little bites of heaven will make for a great evening dessert. My daughter is a crazy cheesecake fanatic. She loves all things cheesecake. Her favorite all time cheesecake is our No Bake Reese’s Peanut Butter Cheesecake we made a few times this summer. 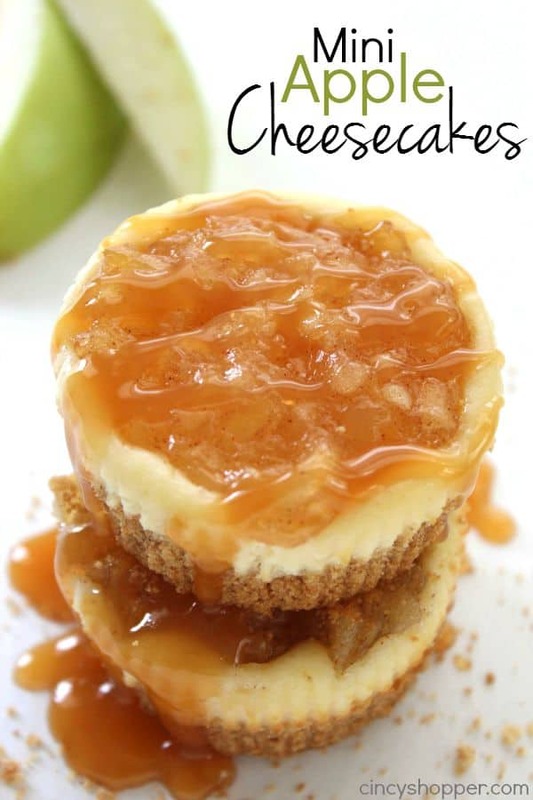 Since I have been whipping up easy fall apple desserts for the past few weeks to share with you, I knew an apple cheesecake was needed for dessert this week. Back to School is tomorrow for our family. 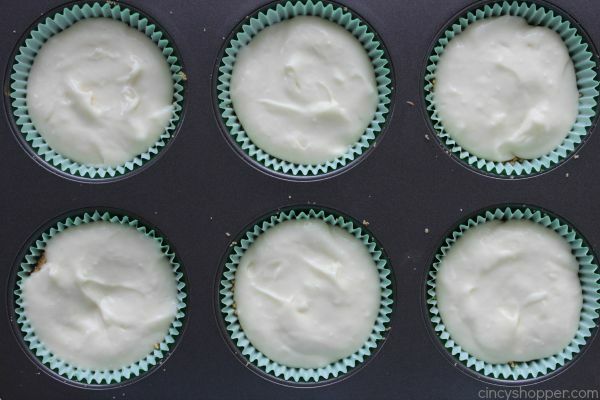 I am not fond of it being as early as it is this year but since we usually start making fall desserts at back to school time, I guess it can be a good thing it is earlier this year. 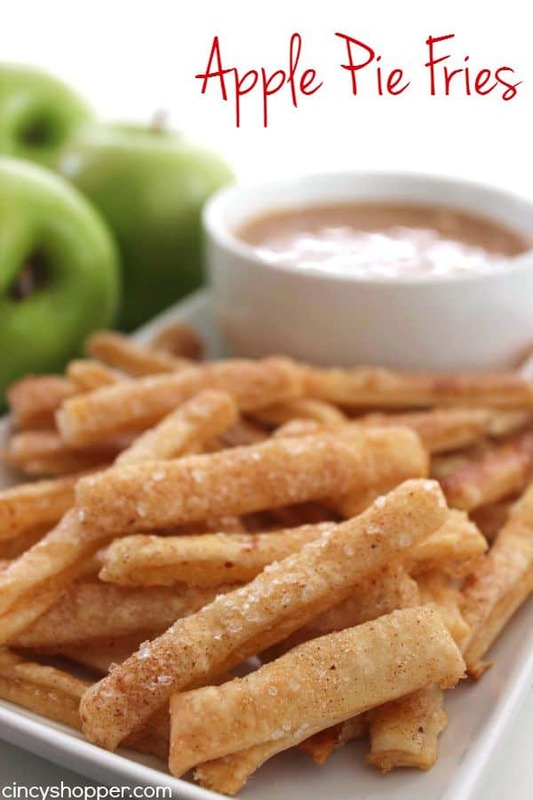 We have enjoyed our yummy Caramel Apple Pie Cookies and Caramel Apple Pie Fries for dessert which were so tasty. We all like food in mini sized portions. I think convenience and cuteness weigh in. One of my families favorite after dinner desserts happens to be Mini Pineapple Upside down Cakes. 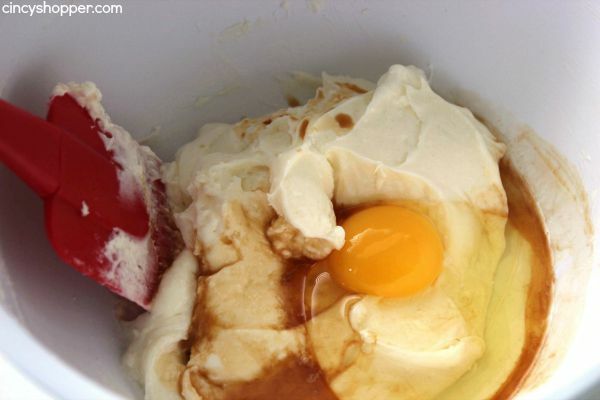 If I make a whole pineapple upside down cake, it does not go as quickly. Give the kids and hubby a mini portion and they are gone in no time at all, ha ha! 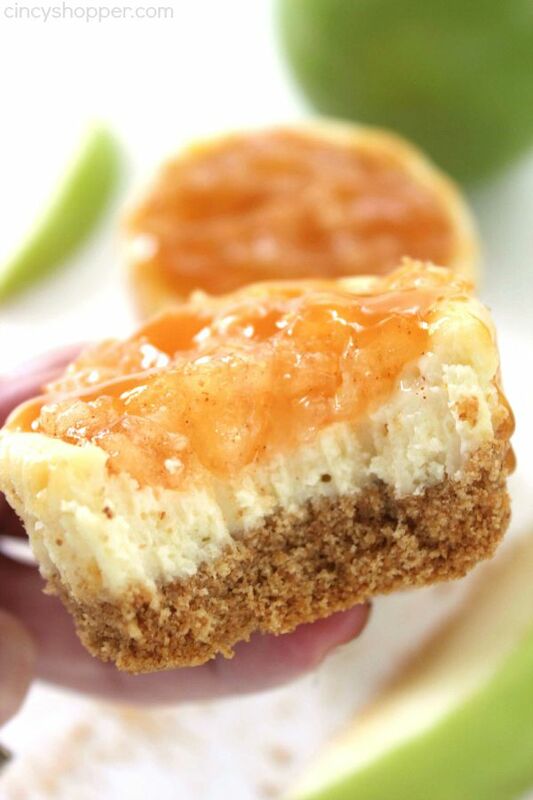 Cheesecake can be so comforting and when you load apple topping, it is just that much better. Since my daughter has been craving baked cheesecake, these Mini Apple Cheesecakes were perfect. 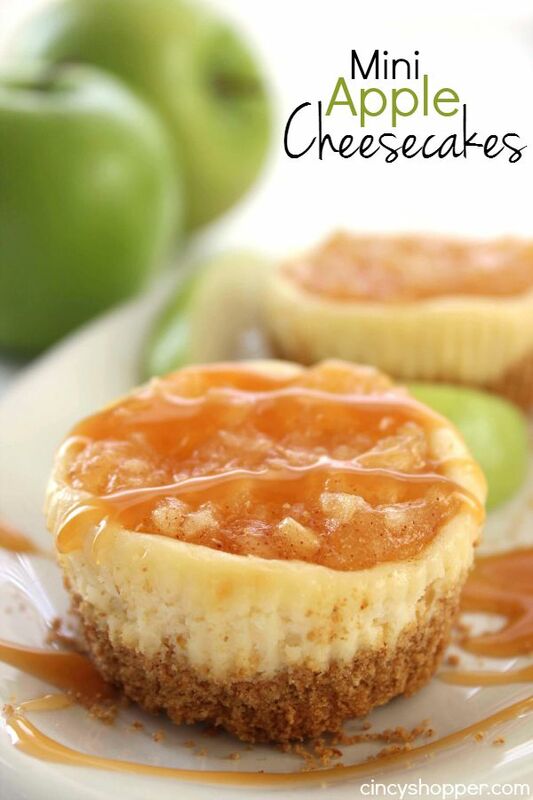 They are super simple and are great with apples and a bit of caramel drizzle. 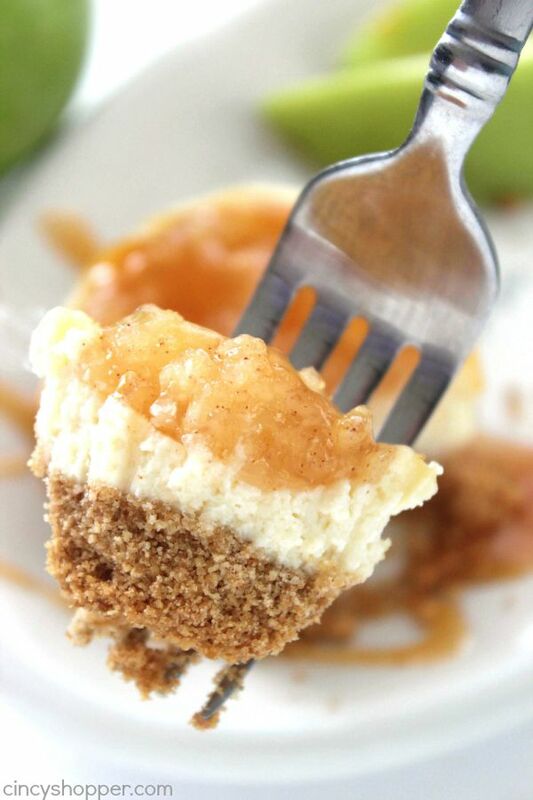 I am a big fan of cheesecake but when you add in my favorite toppings, they are over the top some of the best desserts a girl can enjoy. 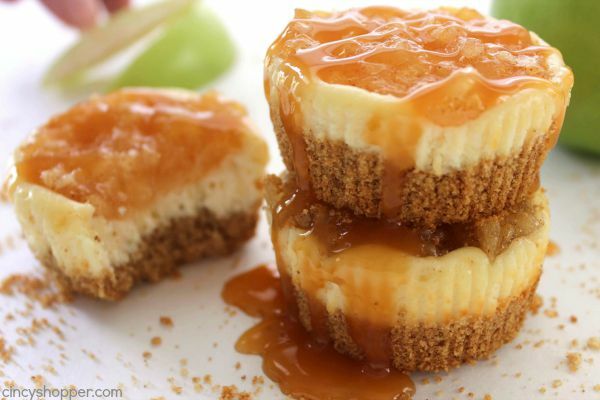 Caramel and apples are super all year long but when I enjoy them in the fall, they are so comforting. I think my family will most likely be tired of caramel and apples by the time fall is over but this girl will still crave more, lol. 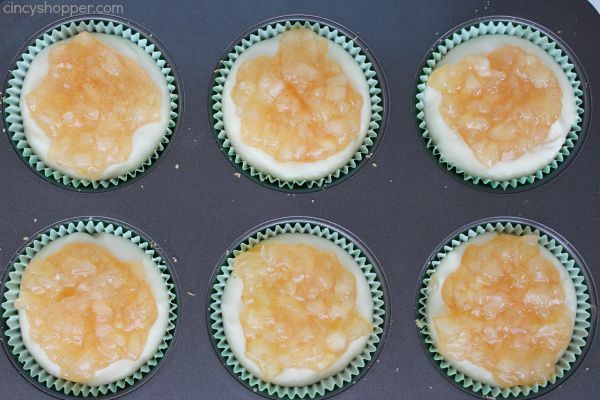 These mini apple cheesecakes are so super simple. 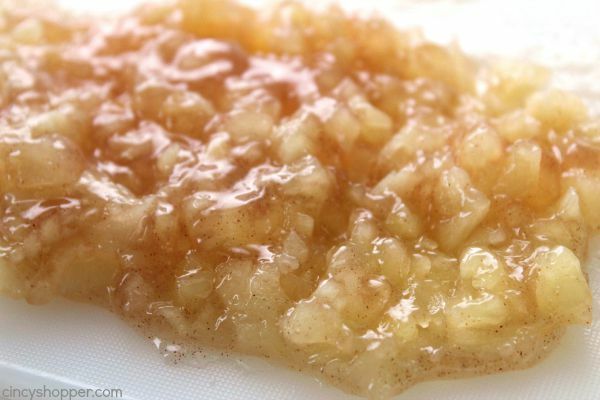 I used store bought apple pie filling but Homemade Apple Pie Filling would work great too! 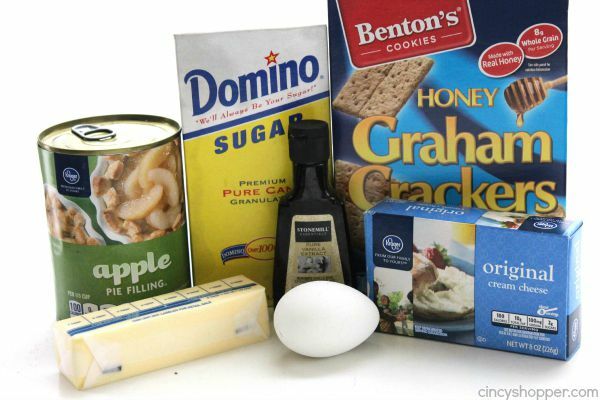 Quick and easy desserts that require a few ingredients like this recipe work best with our family. 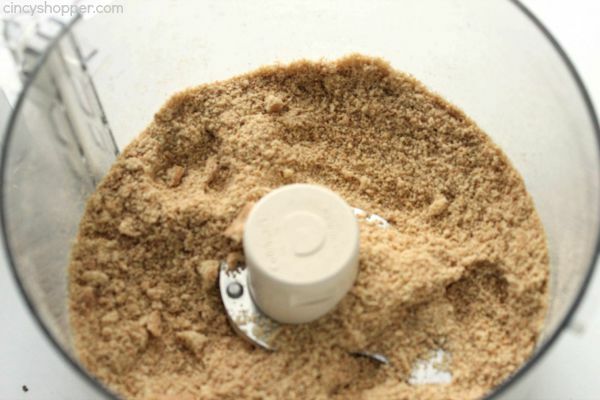 Put a tablespoon of apple pie filling into each and gently swirl with a knife. 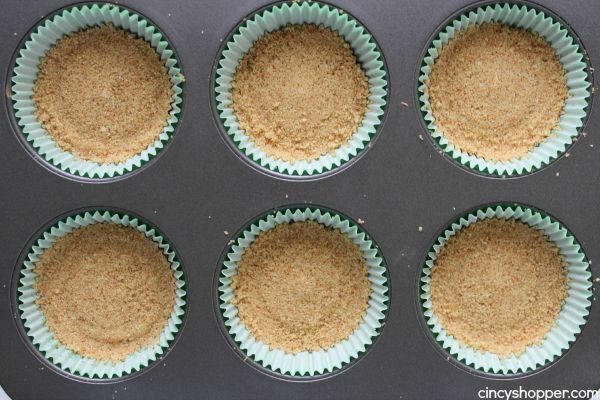 Top with additional apple filling and refrigerate at least 1 hour. 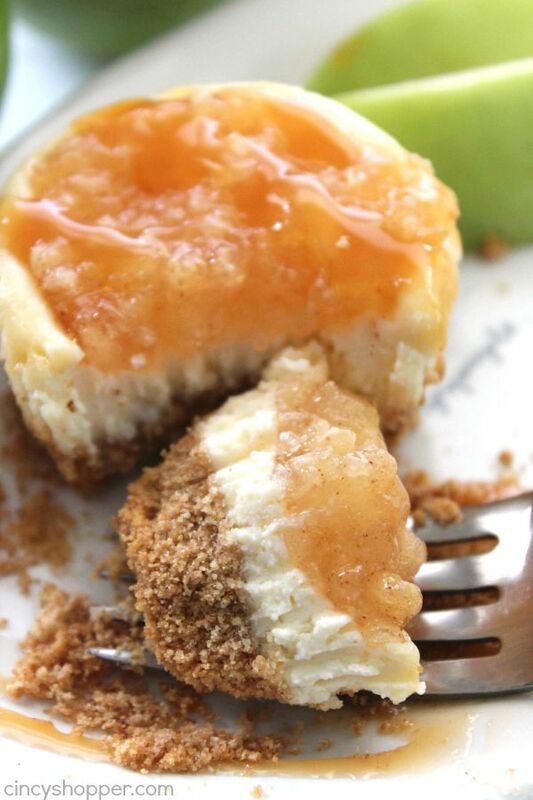 Do you have a favorite fall cheesecake? Looks amazing & easy too. Pinning this to make this fall. 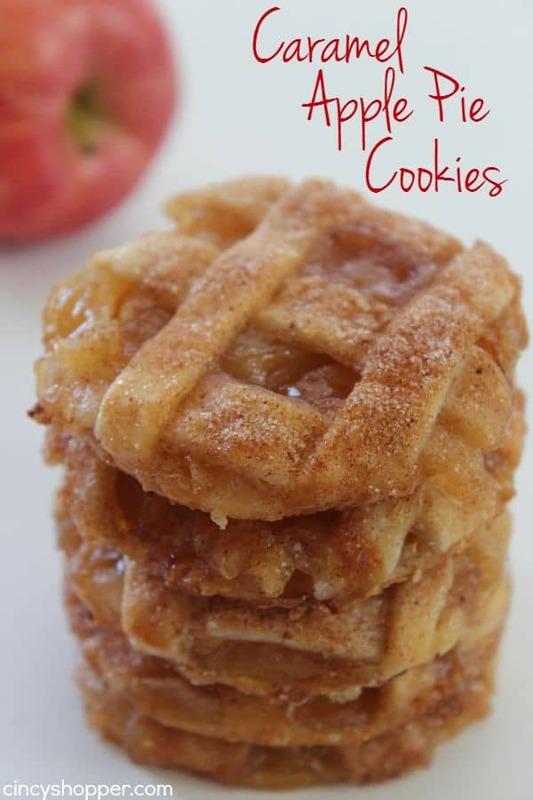 Apple is my favorite for fall baking! Oh my goodness!! This looks amazing. 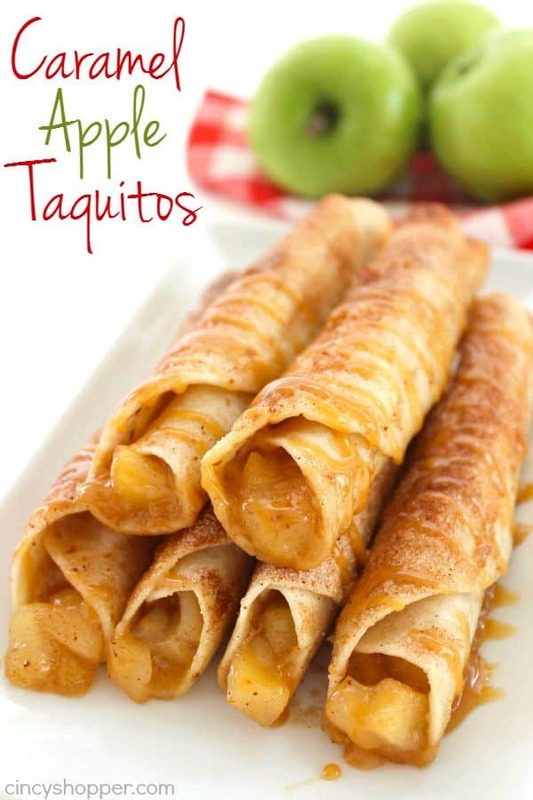 I’d love to be able to use fresh apples- would you just chop them into small pieces or do I need to add something else?